Do you recall that exciting feeling when you return from a car service station driving a spick and span motor after servicing? 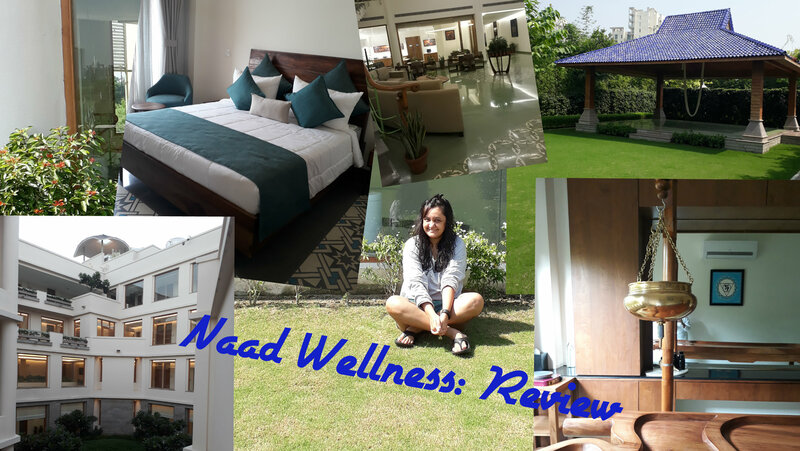 Well, that’s exactly how I felt after my short but very memorable stay at the Naad Wellness – except, in this case, I would like to compare this to a healing process for my body and soul which turned out to be a life-changing experience. Naad Wellness is located in Sonepat, Haryana and is a stone’s throw away from Delhi NCR. While some people might call it a detox or wellness center, I would say it is a place that rejuvenates the five senses of the human body which possibly get affected due to a sedentary lifestyle, stress, and pollution. I went there with an open mind and stayed for three days to undergo a therapy designed and recommended by the in-house Chief Ayurveda Consultant, Dr. Hrishikesh Ashok, BAMS, MS (Ayurveda). The three-day stay for me was something very new to try on, as I have never been on detox diets of lifestyle before, and for those who wish to stay for longer periods, there is a maximum of a 28-day package which includes all sorts of prescribed massages, therapies, nutritional consultation, and Yoga sessions. I have been a journalist for more than a decade now, and my work involves a lot of travelling, eating and drinking outside, typing for hours with my neck and back bent, and due to all the stress a very bad sleeping cycle. So, my doctor advised me to go on a complete detox during my stay, which included no greasy and oily food, no caffeinated beverage (tea and coffee both excluded), a pure vegetarian diet with very sugar in the form of jaggery (gur) and no alcohol or cigarettes. In fact, for people who are addicted to cigarettes, this could be a very tough place to survive as there is fine of INR 5,000 if you are caught smoking. Thankfully, I don’t suffer from any major disorders or addiction but I did miss my daily lemon cup of lemon tea. For people who are addicted to tea or coffee heavily, a detox like this will give an acute headache in the beginning days but slowly the body learns to cope. Now my treatment for insomnia included three sessions of Shirodhara, a couple of Yoga sessions every morning and a clean diet which was prepared by the in-house nutritional consultant and chef. I stayed at the royal suite, which was attached to a plunge pool and a terrace garden. Each category of room in this center has a balcony and windows for fresh air and sunlight. Depending on the kind of the package you opt for, you can choose and customize your stay. There is also a beautiful blue center created for Ariel Yoga, a well-equipped gym and a mini-golf zone on the terrace. After a traditional welcome with beads and tikka, a set of white kurta-pajama and slippers is given the guests on arrival which they have to wear during the stay. In these three days, I tried some very interesting therapies and thought about my life and well-being in general – I felt a strange calmness and my energy levels went up in the daytime. Usually, I considered myself to be a night person but the detox bought an unexpected side on me and I could wake up early with an alarm clock. 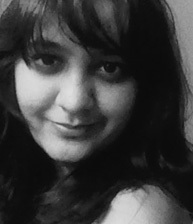 In my world, it was a huge change that I have been meaning to see for a long time. On the day of my arrival, my first Shirodhara treatment was accompanied by an Ayurvedic abhyanga massage. During Shirodhara, almost 2 liters of medicated oil is poured into your head with the help of a brass vessel and it increases your blood circulation. As you can imagine, I was slathered in oil every day (one session each day) and the oil doesn’t go off your hair easily — no point trying to shampoo it more than two times. The doctor also recommended a 10-minute Himalayan salt cave therapy, where I sat inside a room and inhaled the salt fumes that are good for skin and respiration. One of the days, I was taken to a Hamam bath, where I experienced steam and bath after a full body scrub. Apart from all the therapies and treatments, the best thing I liked about my stay was the diet of fresh veggies and juices that really started working by the next day of my stay. I even had a dental consultation and scrapping, which is part of all packages. During my stay, I really enjoyed the intense one-hour Yoga session in the mornings, an invigorating reflexology walk and food massages and by the end of everything — a relaxing swim in the pool. Overall, I learned about the importance of an organized routine in life, the benefits of sleeping well and of course eating right as much as possible. To be honest, I wasn’t really sure if I could follow everything prescribed to me, but surprisingly I did it and without any qualms — so my only advice would be to make sure you muster a lot of willpower before you book a stay here and be open to change. After all, you have to give something to get something – and giving up on toxicity was the best thing I could do for myself at this wonderful center.